Although the term was coined in the early 1960s to describe traffic jams in Philadelphia the day after US Thanksgiving, and has become associated with hordes of unruly mall-customers, Black Friday has a more fateful and historic connotation in Australia. This due to their Black Friday fires in 1939, where on January 13th [a Friday no less], a total of 69 sawmills were burned and 71 lives lost. Sticking with the Aussi theme: Brisbane is now home to Australia’s tallest engineered office building; and a research paper by Planet Ark (Wellness + Wood = Productivity) speaks to wood’s impact on workplace satisfaction and productivity. Elsewhere, BC Forest Safety Council news, the Steelworkers on Tolko’s Merritt mill shutdown; FPAC and FPInnovations on the fed’s Fall Economic Statement; and forestry tidbits from Saskatchewan, Poland and Papau New Guinea. The term ‘Black Friday’ wasn’t assimilated into the common vernacular until the early 1960s as a way for the Philadelphia Police Department to describe the horrible conditions they experienced on the day – heavy crowding and traffic jams became a permanent fixture of the day after Thanksgiving. However, a more romantic notion arose in response to the Philly PD, driven by the merchants in Philadelphian stores. In a time before computers simplified everything, accountants and bookkeepers used to use red ink to denote losses and black ink to denote profit. Thus, in an effort to erase the negative connotations of the term ‘Black Friday’, merchants suggested that Black Friday be referred to them turning a profit, getting out the black ballpoint pen and going ‘into the black’. 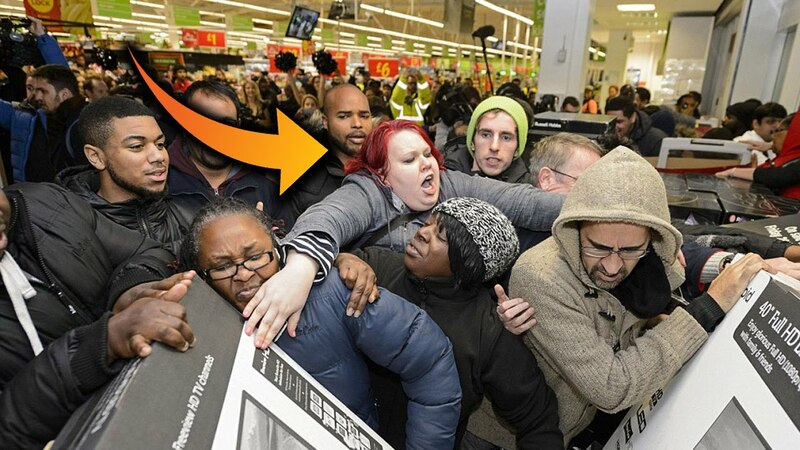 In recent years, Black Friday has become notorious because of… fights, swearing, customers rifling through employee only areas, rioting crowds and people bleeding out on the floor. Wood Champion Awards: Kenora Mayor David Canfield and Kapuskasing Mayor Alan Spacek. A 52-metre-tall office tower made of engineered timber, designed by Bates Smart, has opened in Brisbane. The timber tower, dubbed 25 King, is the tallest engineered timber building in Australia. It is just one metre shy of the world’s tallest timber building, Brock Commons in Vancouver, designed by Acton Ostry Architects, which was completed in 2016. 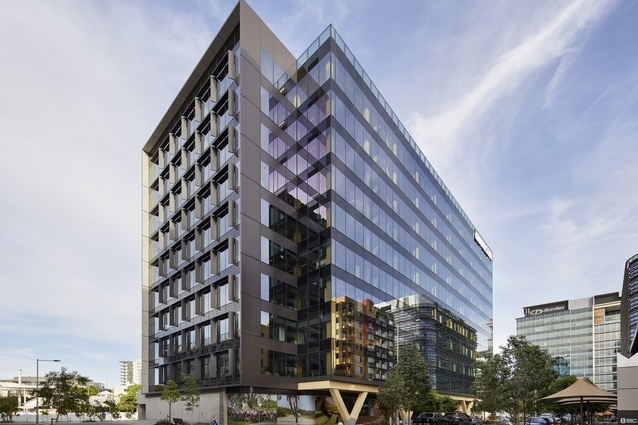 Engineered timber was used throughout 25 King, with a six metre by eight metre grid of exposed glue-laminated timber (glulam) columns with cross-laminated timber (CLT) cladding, as well as CLT flooring. The building features open office spaces across 10 floors, with exposed services. The offices make up thelargest gross floor area for an engineered timber building in the world. Philip Vivian, Bates Smart director, said, “Each time an engineered timber project completes, architects learn more about CLT’s potential as a new building material and how we can work and innovate with it on all types of buildings. 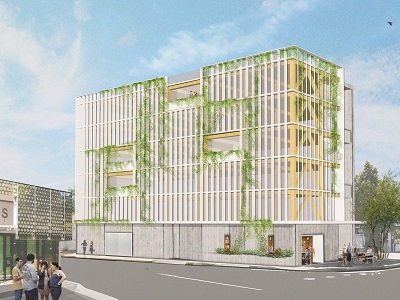 A new mass timber-framed office building – the first of its kind in Western Australia – is coming up in Fremantle with an aim to deliver one of the state’s healthiest and happiest workplaces. …Yolk Property Group director Pete Adams says, “Office workers spend around eight hours a day indoors, often in offices that lack adequate sunlight and fresh air while being surrounded by manmade materials like plastic”. …“Timber is one of the most sustainable materials available and has also been shown to boost productivity and mood, with research indicating satisfaction and wellbeing in the workplace are improved with the inclusion of wood and other natural materials,” Adams says. A research paper on the subject titled Workplaces: Wellness + Wood = Productivity, produced by strategic market research firm Pollinate and the University of Canberra, was released at the Green Cities conference in March. MONTREAL – FPInnovations applauds the federal government’s Fall Economic Statement tabled Wednesday in the House of Commons by Bill Morneau, Minister of Finance. The sweeping Statement pledges to accelerate support for business innovation, invest in clean technology, increase exports, invest in middle-class jobs and remove trade barriers within Canada. Notably, $100 million will focus on providing support to the forest sector. The federal government’s continued support of fostering innovation in the forest sector is vital to the industry’s future prosperity and capacity to develop new technology and markets to strengthen our industry nationally and internationally. “We will continue working with the federal government and other public and private partners to improve the competitiveness and diversification of the Canadian forest industry,” said Stéphane Renou, President and Chief Executive Officer, FPInnovations. For 15 years plant ecologist Randy Moody has been working on the promotion and conservation of the whitebark pine. Every year Moody, and a small team across B.C., gather a crop of whitebark pinecone seeds for recovery and conservation efforts. Moody says that this year’s crop was the largest he has seen in his career. …This bodes well for tree conservation efforts, allowing the Whitebark Pine Ecosystem Foundation of Canada to not only gather data on the tree species but also continue conservation through planting more of the endangered species’ seeds. The whitebark pine faces several challenges, including the mountain pine beetle, forest fires, climate change, and the biggest culprit; pine blister rust. Since the trees only grow in high alpine forests, says Moody, they have no where to go. More of Saskatchewan’s forested area was disturbed by pests than by fire in 2016, according to Natural Resources Canada. In its 2018 State of Canada’s forests, the federal department reported that 567,727 hectares of Saskatchewan’s forests were disturbed by pests, counting both defoliation and beetle-killed trees, in 2016. According to the 2017 report, 241,608 hectares of the province’s forests burned that year. Rory McIntosh, an insect and disease expert for the provincial Ministry of Environment, is careful not to make direct comparisons between the pest disturbance and fire destruction statistics. The disturbance caused by fires to trees is total, while the extent of the disturbance caused by pests depends on the type of pest involved. 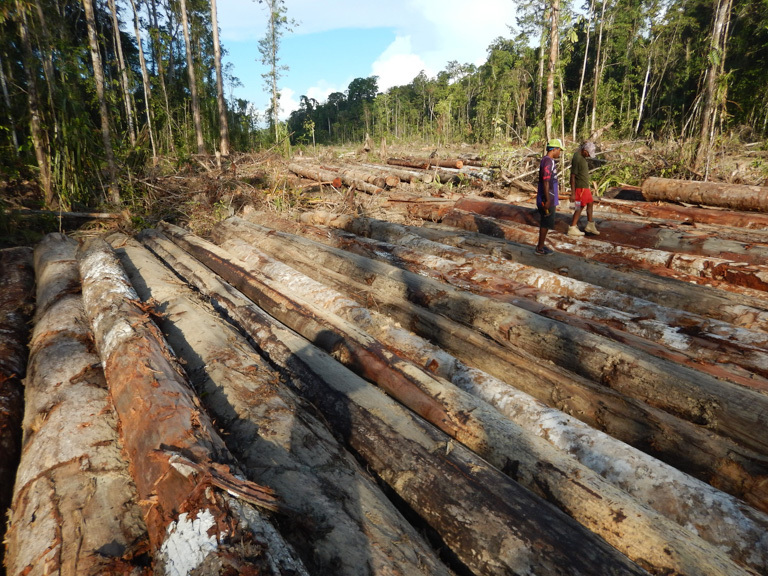 China’s imports of timber from Papua New Guinea (PNG) are winnowing away the country’s forests, according to a group of NGOs, researchers and landowners. Without action by Chinese leaders, they wrote in a letter to President Xi Jinping, the illegalities and corruption that plague PNG’s forestry sector will only continue. Amid the political posturing around the trade war between the United States and China at the Asia-Pacific Economic Cooperation (APEC) Summit in Port Moresby, the letter to Xue Bing, China’s ambassador to PNG, garnered little attention. But for the future of PNG’s forests and the communities that depend on them, it’s vital that China mandates that all the wood it imports be legally and sustainably harvested, the letter’s authors said. WARSAW – Poland called on Wednesday for more forests to be planted worldwide to capture carbon emissions and so curb global warming, speaking ahead of annual U.N. climate talks to be held in Warsaw next month. Poland’s hosting of the talks has been contentious given its dependence on high-polluting coal for energy and various environmental disputes Poland’s conservative nationalist government has had with the European Union, including increased logging of the ancient Bialowieza Forest. 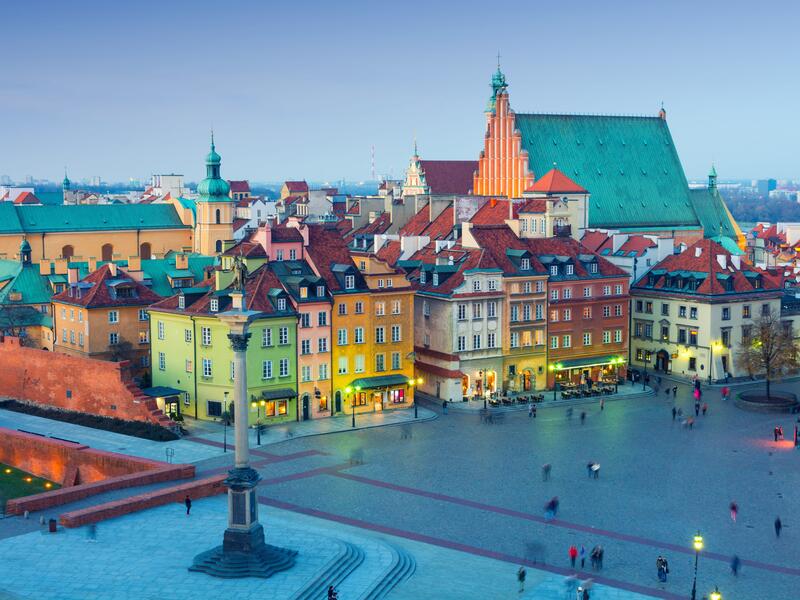 Warsaw has repeatedly said it needs time to reduce its reliance on coal and has meanwhile launched campaigns to promote the use of forests to capture carbon, as well as electric vehicles to reduce diesel pollution. …The IPPC report said that keeping the Earth’s temperature rise to 1.5 degrees Celsius means making rapid, unprecedented changes in the way people use energy to eat, travel and live. The Wood Pellet Association of Canada (WPAC) held a workshop on conducting incident investigations at the Westin Vancouver Airport Hotel. …This workshop was part of the collaboration between WPAC and WorkSafeBC on implementing Process Safety Management (PSM) in the wood pellet industry. PSM focuses on preventing high-impact process catastrophes: fires, explosions, accidental chemical releases, and structural collapses. …During the workshop, participants prepared mock incident investigation reports for several real-life incidents. This enabled participants to analyze and discuss the root causes of these incidents and to recommend corrective actions to prevent their reoccurrence. Whether you are hauling logs, driving to and from the bush to operate a machine or conducting forest management activities, preparing for winter driving conditions is a must. …Year after year, incident data provided by log hauling contractors to the Trucking and Harvesting Advisory Group (TAG) shows increased incidents throughout the winter months. This is not surprising given the challenging conditions, but making the decision to drive to the conditions and chain up where required can reduce the risk of an incident. There is a safe speed for every load and road condition, including not going at all! The Shift into Winter driving safety alliance has released updated information for all commercial carriers in all industries on “winterizing your safety plan”. The brochure includes employer responsibilities, dispatch/supervisor duties, drivers’ responsibilities, proper vehicle preparation and maintenance, pre-trip inspections as well as the roll of joint health and safety committees or worker representatives.